Our sweet friends', the Matthews, little boy Ryan turned one last Sunday and his birthday party couldn't have been any more darling! It was a retro muppets theme and such a fun time. I can hardly believe he is one and know we will be celebrating Charles' first year before we know it. I'm trying to savor every single moment for the next five weeks of my maternity leave. Charles with Aunt Marie & Uncle Jason -- their big day is in a week! I finally painted the highchair I bought off Craig's List and let Rachel borrow it for the party. 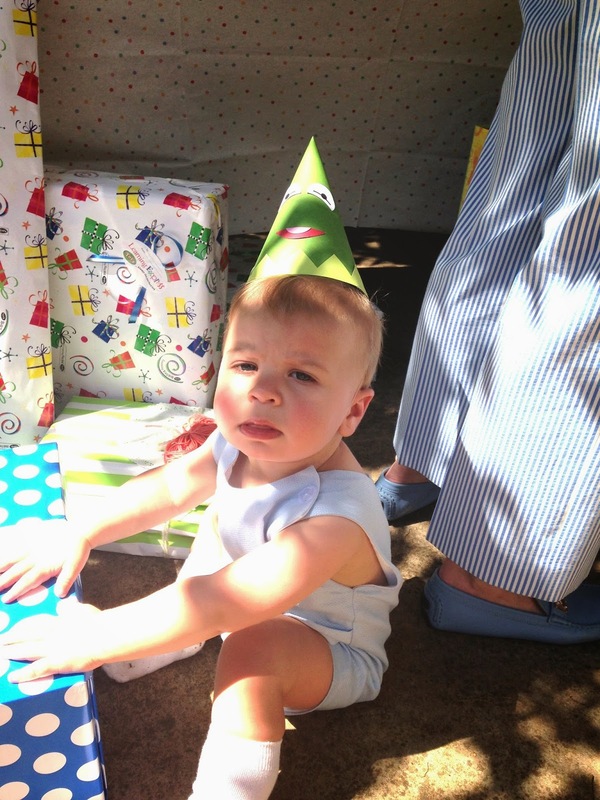 I think Charles enjoyed attending his first friend's birthday party. I got this outfit from Kid-2-Kid in Charlotte (Park Rd. location) for $2.99! Everything in Shop Sweet Lulu is adorable. Rachel and I actually found this site when I was looking for balloons and streamer tassels for the Otto bean gender reveal pic. Warning: the balloons are a challenge and expensive to get filled up. She finally convinced the Cameron Village HT to do it. 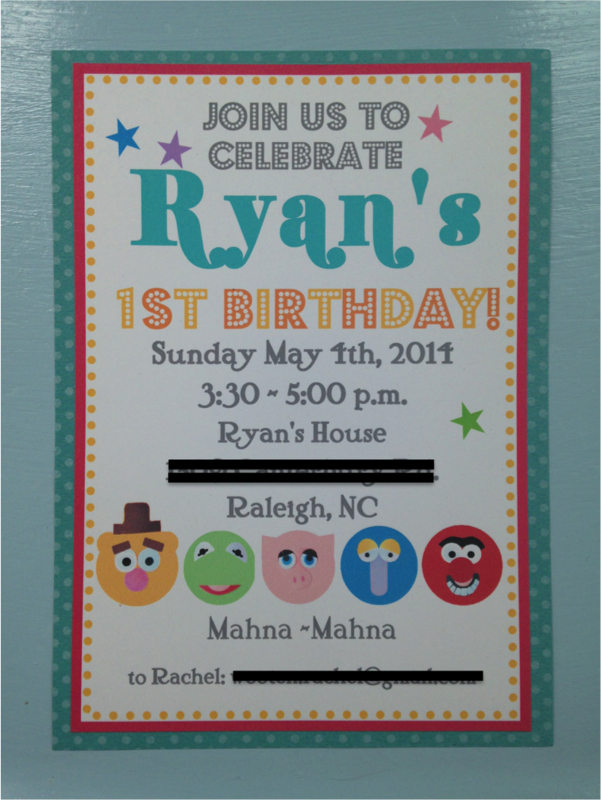 Great job on the party, Rach! Thanks for inviting us! Can't wait to watch these two boys grow up together as best friends.